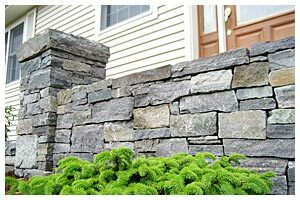 Stonewall Hardscapes completes all necessary excavation, base-installation, and surface prep for your stone structure, including removal of existing structures. We build with care and precision, based on agreed design, the desired structure and assure its soundness before full clean up and rejuvenation of work site. Our products and installation stand the test of time. We make outdoor living areas - patios, driveways, walkways, stairs, grills, fireplaces, etc. - functional, sound, beautiful and unique through the careful and creative placement of stone. Our guarantees breed a reputation of trust in the product and in the installation process. Clients potentially spend tens, or even hundreds, of thousands of dollars, and our guarantee encourages trust in our services. Installation is guaranteed on a per-site basis. Any number of factors, including grade, base materials, agreed dimensions of structure, etc., can determine the given warranty. In most cases, warranty against installation-failure is assumed, unless otherwise noted. Our cutting-edge techniques for installation create more efficient work and better stability than the competition. We have the creative ability to bring any vision from idea to reality. We have a strong network of sub-contractors to install accessories or amenities for our projects - e.g. outdoor kitchens, accessory lights, speakers, fireplaces, etc. 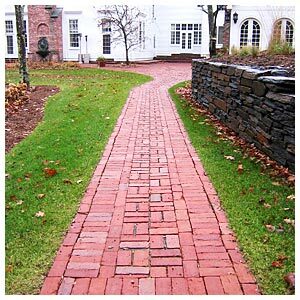 We have years of experience around the Northeast region, working with different substrates, stones, climates, base materials and even geographical clientele differences. This broad base of knowledge prepares us for any market trend. Our products are designed and built at a higher level, plain and simple. The craftsmanship and experience that go into our structures create better products. Our cutting-edge techniques for installation create more efficient work and better stability than the competition.